This morning we come to Calvary. CALVARY was a place of curse as well as a place of blessing. It was a place of curse for our Saviour; yet a place of eternal blessing for us. CALVARY is where we see man at his Worst and see God at His BEST. Calvary is the place where the sinless Lamb of God was slain, and the very place where God shed His precious blood to pay for the sin of the world (John 1:29). Calvary, the place where each sinner must come if they desire to gain entrance into heaven. As we approach Calvary, or Golgotha’s Hill, and as we stand gazing at this hill which was in the shape of a skull, we will immediately see three crosses outlining the sky. As we walk nearer, we learn of who is hanging on those crosses and the reasons why. Two thieves occupy the first and third crosses. On the middle cross we see the greatest person that would eve live, for here we are viewing the Son of God, Jesus Christ. Jesus had been born in a stable, just 33 years before this horrific event. He had been raised in Nazareth. He had lived a PERFECT and completely SINLESS life. Yet here we see the innocent dying in the place of the guilty. Here we witness Perfection dying in the place of Imperfection. The crowd had already clamored for His crucifixion. Now, at this point in history, the hatred for Jesus Christ had risen to its hellish heights. Jesus has already been condemned, even by one government official that had said, “I find no fault in this just man.” The cry, “Crucify Him, Crucify Him” has already been echoed throughout the great gathering of people. The long agonizing march to Calvary has ended. People watched and listened as the nails had been driven into the hands and feet of Jesus Christ. The cross has long since been lifted heavenward. Those that remained at the foot of the cross were watching with the sinful smirks upon their faces as they were well-pleased that Jesus was dying such an excruciating and painful death. In the midst of this, we hear Jesus Christ speak seven different sentences. This day, let us hear the first words which Jesus spoke from the Cross. With all that Jesus had already endured, were His first words lashing out against His enemies? No, He is praying for them. He just prayed for those that had placed the crown of thorns upon His head; for the Roman soldiers that beat him mercilessly; He prayed for those that had condemned Him; for those that mocked Him; for those that clamored for His crucifixion. What did Jesus pray, “Father, forgive them?” Who else but God’s Son could had prayed a prayer such as that and under those circumstances? His public life began with prayer and now He closes His public ministry in prayer. As Jesus is ending His earthly life, he could no longer use His hands to serve the sick, for they are now nailed to a wooden cross. 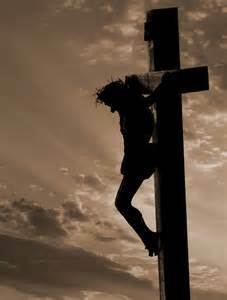 No longer would His feet be able to run errands of mercy and compassion, for they as well have been nailed to the cross. No longer could Jesus teach His disciples, for they have ALL abandoned Him. What then could Jesus do in Hid final hour? He could pray. In fact, the first, fourth and seventh words were all prayers. In the beginning, in the middle, and at the end of His suffering did Jesus pray. The Bible says, “THEN Jesus prayed.” Then, when wicked man was at his worst; THEN, when Satan was laughing in his wicked glee; THEN, when the demons of hell were rejoicing and mocking at what APPEARED to be a triumph for evil! THEN, when the physical pain was at its worst, then Jesus prayed for his enemies. In this prayer, Jesus was asking His Father to withhold Divine punishment until these people could understand the real spiritual significance of what he was doing. Father, they are ignorant now, but they will soon learn of the Gospel as it will be preached. Then they will have the opportunity to repent and receive me as their Saviour. Give them one more chance Father. Yes, this prayer was answered and many gathered here would be saved as Peter preached to this same basic gathering in Acts chapter two. Three thousand were saved after Peter’s sermon. Can you not imagine the people passing by Peter saying these words? I spat upon Jesus, but now I understand and repent of my sins. Another rushes up and says, I was the one that drove the nails through His hands. I just asked Jesus for forgiveness. 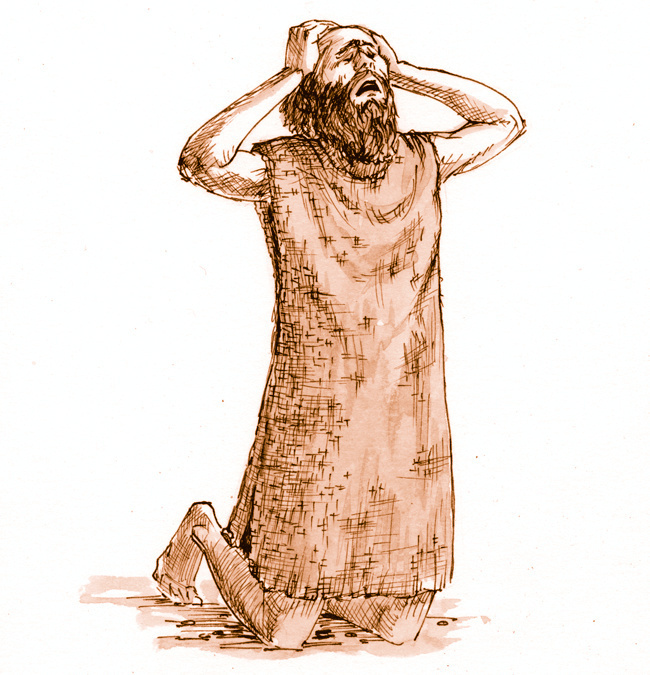 Another sheepishly edges closes to peter and asks, “Can I be forgiven? I drove the crown of thorns deep into the scalp of Jesus. Peter would simply say, Repent and believe and you will be saved! Another runs up to Pewter asking with tears streaming down his face, “Can I receive forgiveness? It was I that slapped His face and pummeled His face until you could not even recognize that His was the face of a man. Read my words carefully, they did not understand what the true impact of that day was. But you and I do! We know what Jesus did on that crosses and by placing your faith in Jesus Christ, and Jesus alone, you will be forgiven of all! If you would like to know 100% sure that you have the Complete forgiveness of God, please take a minute to respond and I will show you more from God’s Word how you CAN KNOW this great truth. 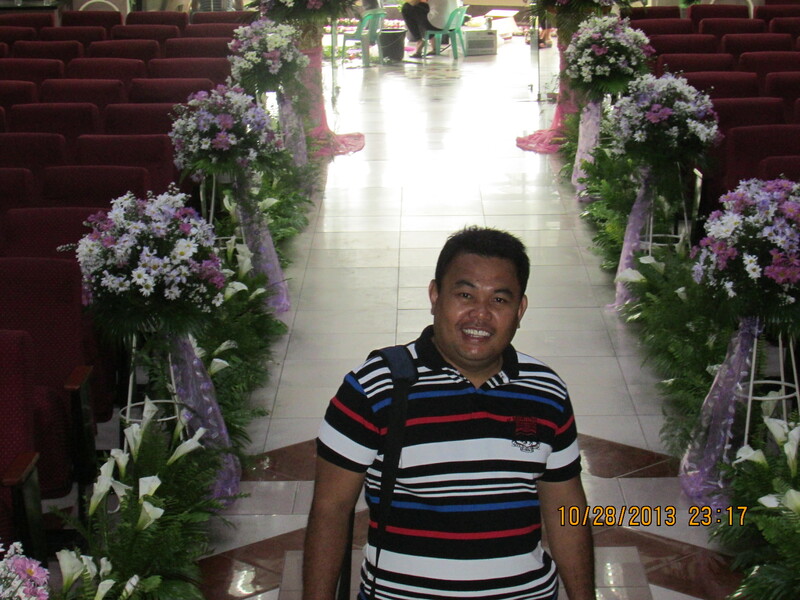 This is my dear and treasured Friend, Pastor Jonathan Aparre from Bohol, Philippines. As you read my “testimony” today, I want you to see the people that I see when I visit Countries, as an Ambassador of Jesus Christ. Look at his smile! Look into his eyes and see the joy of Jesus Christ that he has! Feel the love that exudes from this godly man! He was one of hundreds just like this! In less than three weeks my ministry will lead me to spread the Gospel in two North west African nations. I have many Friends from Benin and Nigeria. 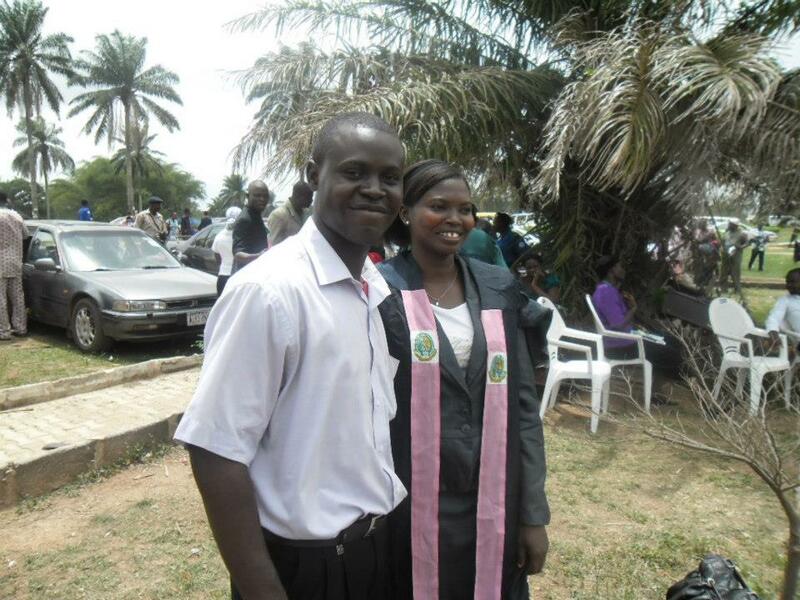 I will be honored to preach the wedding service of a godly young man from Nigeria, Abraham Adeyemi. Look into this man’s eyes and notice the love of Jesus that is written all over his face. How can we remain with yet another year of prejudice? Of fighting, and killing, and war? How can we NOT support missions? What if Missionaries would NOT had been able to take the Gospel to Countries just like these? I have been thinking a lot about my family and my Facebook family the last few days, more so than usual. Just thinking about the friends that I have in my life, people that I honestly, sincerely feel, that we are good friends on 6 of the 7 continents, in well over 70 countries. The thought that continues to strike me is that IF everyone in the world were like my Facebook friends,every war would be over; people would truly be looking to meet the needs of one another countries and families; they would do away with the racial prejudices that so many countries have of another country. God and I have no time for Prejudice! I have been to many countries in my lifetime, and do you know what I have discovered?. Every Family that I have ever met, loves their family, just as much as I love mine. Every family has accepted me as part of their family. No racial barriers, no feeling of superiority, just complete acceptance and Christian love.. I have even found in each country visited, that I have been treated with complete respect, even among non Christians.. I am fully aware that in every country, including my own, that we have some that do not behave like this towards people from other countries. This of course breaks my heart and must certainly grieve the heart of God. Why? Because God created man! Why? Because God loves Every Person from EVERY Country and Tribe in this world. God loves you dear Pakistani person! God loves you in Australia! God loves you that has experienced so many issues from the natural disasters my precious Filipino Friends! God loves my Friends in Germany! God has not forgotten about you, my Friends in Cambodia and Vietnam! God loves you Zimbabwe! God loves you Benin and Nigeria! God loves you Ethiopia! India, you the second largest Country in the world, God loves you! China and Indonesia, the Largest and fourth largest Countries in the entire world, God loves you to! America, the third largest Country in the world, God loves you! Yes, God loves You! He loves each Country so much that He robbed Heaven of it’s brightest jewel when He sent His precious Son, Jesus Christ into this world of woe, and sin, and hopelessness, in order that Jesus would become sin for EACH of us (Hebrews 2:9; John 3:16; and I Timothy 1:15), and shed His Blood as the ONLY payment for our sin! 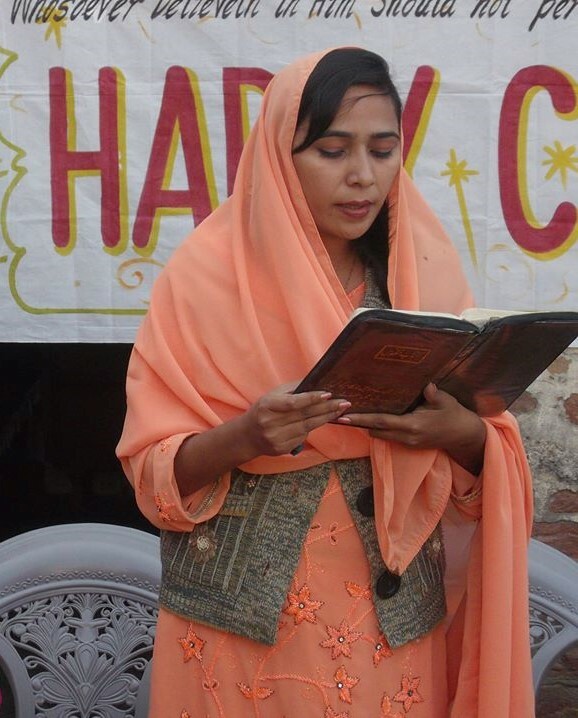 During the past four weeks, I have been privileged to see Jesus Christ, take the Word of God which I had the privilege of sharing and He has saved hundreds of Filipinos; God forgave a lady by the name of Shamsa, in Pakistan, that has in less than 4 weeks, taken the Gospel to MANY Pakistani People. Look into her sweet face as she is teaching how to be saved, from the Facebook notes I used while winning her to the Lord. Sharing the Love and Compassion of Jesus Christ IS making a difference!! He allowed me the honor of winning a lady from Bangalore, India to accept Jesus Christ as her Savior. Yes, I KNOW that God loves the World! Yes, I have even been so blessed as to be adopted as a father and as a grandfather of people on several continents..
I’m thinking about the Christmas gift given to me by my international friends. You had given my present throughout the year. You have given me your love, your respect, your friendship, and in some cases, you even made me a part of your treasured family. What more good I hope to have for Christmas than these things? I am so thankful for each of you. Many people I have not met face to face, yet I KNOW of your character through your comments on Facebook and through our Skype planning meetings. My New Years wish for our world is that the world would treat all Countries, all tribes, and People in the way that you and I have chosen to treat one another. My great desire is that Churches would increase missionary support to get God-called Families into all Countries to spread the Gospel, which has the POWER to change lives; remove prejudice, eradicate the hatred Countries have for one another. I am tired of war, of terrorism, of prejudice, Our blood is ALL the same color. Each Countries People have a heart. Let us choose to use our hearts this year for more than just pumping our blood. Let’s use our hearts to live for others, for in so doing we will fulfill the main law of Christ, which is to love one another (All Countries) EVEN AS Jesus hath loved us! I love you very much and I value your friendship. What do you think? Can we not All commit to this? I’d love to hear from you from all over the World! Let us CHOOSE to become a Difference-Maker during 2014 for the Cause of Jesus Christ! My Life’s verse: I Corinthians 7:29: Brethren, the Time IS Short.” Let us therefore do ALL that we can While we can!